I spent a couple hours at Montrose on Thursday, November 8. 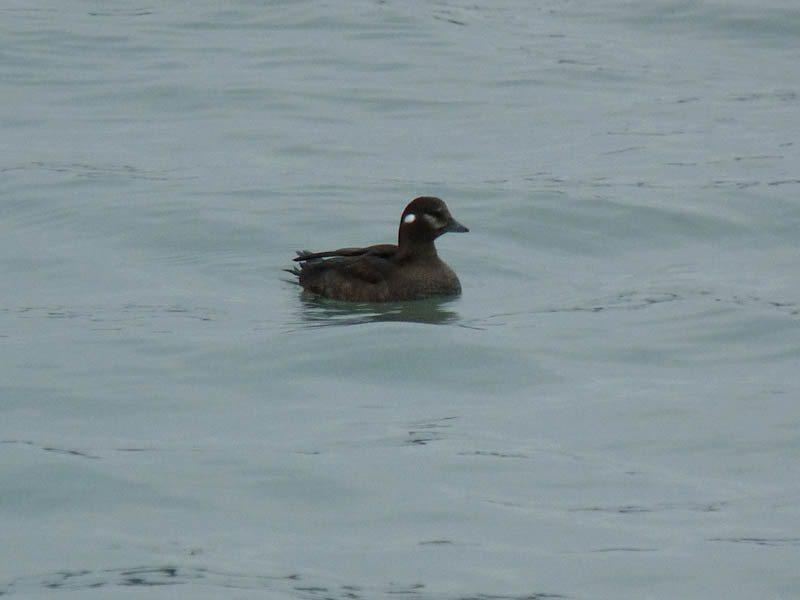 The female type Harlequin Duck was inside the fishing pier and the Piping Plover continues on the beach. The Plover has been present for 3 weeks now. My best passerine was a very late Swainson’s Thrush near the Magic Hedge. A strange mix of birds for November. I ended up with 43 species for my effort. Link to my eBird checklist for the day below. This entry was posted in Fall Bird Reports and tagged Harlequin Duck, Piping Plover, Shorebirds, Swainson's Thrush, Thrushes, Waterfowl on November 9, 2018 by rhughes.